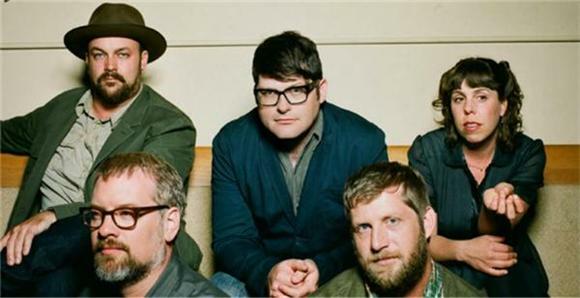 This weekend at Boston Calling The Decemberists played their first live show together in almost three years. As if that weren't exciting enough, the band took the opportunity to debut two new tracks, presumably off their unofficially upcoming album. The album will be their first release since 2011's The King Is Dead. While the new tracks haven't been officially released, copies of the set list gathered by fans suggest the titles "Lake Song" and "Philomena". "Lake Song" is a bright, nostalgic rambling folk track. "Philomena" is an indie folk march that trods playfully through verses into a simultaneously cowed and cheeky chorus: lead singer Colin Meloy lackadaisically warbles, "all that I wanted in the world/was to live to see a naked girl/but I found I quickly bored/I wanted more/Oh so much more". Meloy has hinted that a new record will likely be coming out sooner than later, so the premiere of two new tracks seems an encouraging indicator that sooner might be just around the corner. Have a listen to the new tracks below via some less than professional fan footage.